On my bike ride early this morning I came across this little gem and had to share. Someone was very unimpressed with this person's parking job. 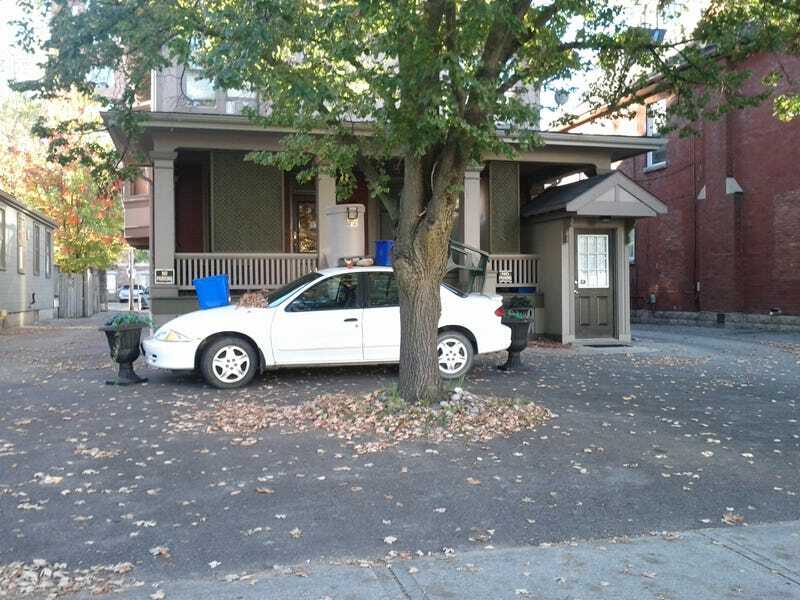 Note the two NO PARKING signs on the house, pretty much directly above the front and back ends of the car. You need to zoom in to truly appreciate the passive aggressiveness of this one.